This black and white photograph shows tornado damage along 1025 and 1027 Kansas Avenue in Topeka, Kansas. 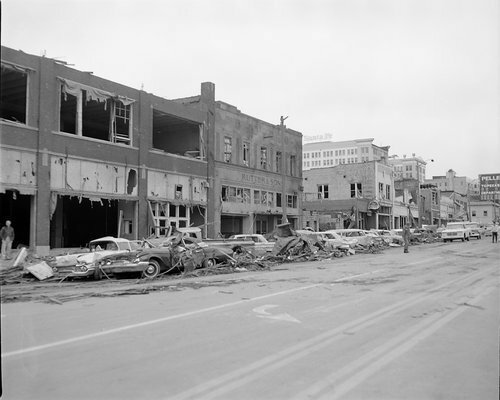 The destruction was from a June 8, 1966 tornado that hit the southwest side of the city and moved northeast toward the downtown area. The tornado cut a four block wide and eight mile long swath of destruction through the capital city.